After completing her University degree in Sport Coaching (dance major), Jade developed FunFit in 2002. She hoped to increase participation of school children in physical activity by teaching fun movement-to-music classes. Throughout her 3 years of contemporary dance at Deakin University, Jade trained in various forms of movement including hip-hop dance, breakdance, capoeira, circus skills, yoga and taekwondo. Jade is also a qualified yoga teacher, zumba teacher, level 2 strength and conditioning coach, and level 1 sport aerobics coach. She participated in Sport Aerobics competitions in her youth, reaching State championship level and went on to train many young athletes in this sport. Now her main passions are yoga, dance and hula hooping and she performs her solo hula hoop act both in Australia and internationally. Jade is passionate about teaching underprivileged children, travelling overseas several times throughout 2006-2011 to voluntarily teach dance, circus and yoga to impoverished children in Thailand, Cambodia, Philippines, Indonesia and India. She has been teaching her many skills to children for 20 years and loves sharing her skills and watching her students shine as they make small achievements.... and big ones! 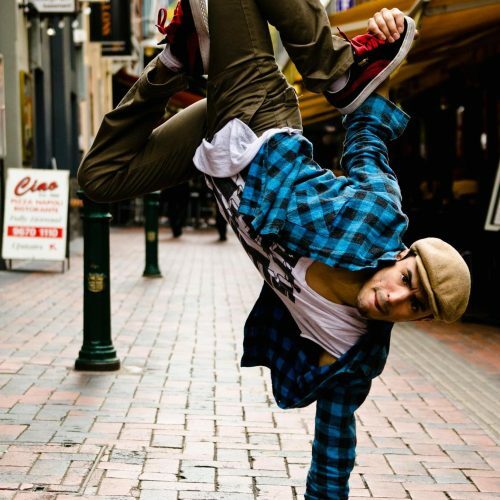 Peter Sette is known in the breakdance world as Bboy Sette and he has been performing as a dancer since 2000. Inspired by watching video clips and growing up with an interest in hip-hop, Peter began to apply his talents through the element of bboying (breakdancing) and other forms of street dances. He started teaching regular lessons in the year 2003 with various artists of the Wicked Force Breakers. At this time his training and ambition in hip-hop dance and bboying intensified, inspired by the Melbourne breakdance community. 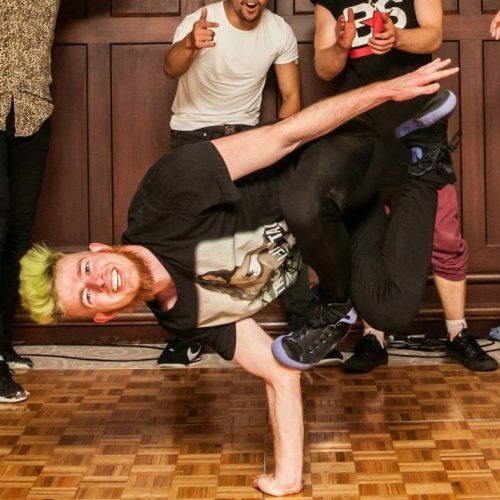 He has competed in and won many breakdance competitions with his crew, both in Australia and internationally. Peter performs regularly for all sorts of audiences, from family events to corporate gigs. He continues to teach weekly classes for children and youth and loves sharing his skills and knowledge of street dance. Dee has been in the dance scene for several years now and loves to share her passion for Hip Hop! Currently studying Dance Teaching & Management, she teaches a wide range of street styles that are challenging but fun for her students. Dee is part of two competitive hip-hop crews who compete internationally. Her crew 'Raw & Rugged' placed as Grand Finalists in Australia’s Got Talent in 2016, 2nd is Los Angeles for World of Dance 2016 and placed 1st as the 2017 National Champions for Australia for the Hip Hop Internationals. They then represented Australia in USA to come 2nd overall. Dee loves to perform and share her love for dance with others. She teaches at dance schools, festivals, dance competitions and at Primary and Secondary schools. Dee loves to get your kids grooving, get funky and most of all, have fun! Daryl travelled from New Zealand to the Caribbean in 2000 looking for a new career opportunity. There he joined a group for Trinadad Carnival where he saw some stilt walkers and started his dream of being a stilt walker. Upon returning to New Zealand he built stilts, made his first costume & underwent intensive training for stilt walking, poi, devil sticks and theatrical movement. Daryl performed at many festivals in NZ before moving to Australia in 2001 when he began teaching his newly learnt circus skills, along with stilt performing all over the country. His personal highlight is teaching & performing for 5 years at CROC Festival Australia, Indigenous Festivals of Australia, where he gets to connect & share with so many amazing kids from remote areas of Australia. Daryl is now a professional stilt walker of more than 15 years, even performing with fire on stilts. He loves teaching circus fun to the young, the old, and those in between! A qualified creative arts therapist, Alice is an experienced teacher and performer of circus skills, dance and contact improvisation. She specialises in clowning, juggling, hula hooping, fire twirling and acrobalance. 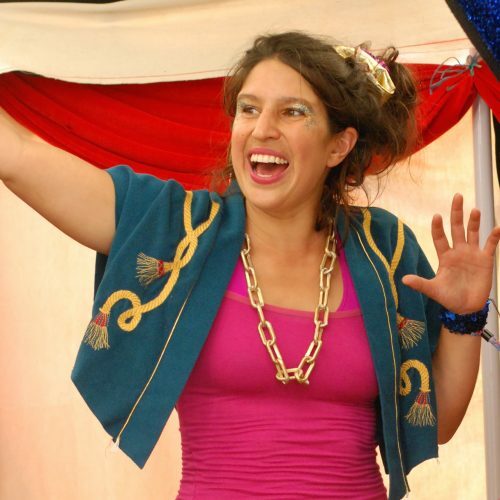 Alice has performed and taught workshops all over Australia at arts festivals and in primary and secondary schools. She has even taken her skills overseas and performed at International festivals including the Hungarian Juggling Convention. Alice has worked with students of all ages, both with her circus and dance teaching and also leading groups in outdoor recreation and working with adults with learning disabilities. One of Alice’s most rewarding experiences was working as a youth worker in remote Indigenous communities in the Northern Territory, creating and facilitating circus, art and recreation programs. More recently Alice co-devised and performed in a kids comedy show called “Time Out” which received critical acclaim at the Melbourne International Comedy Festival. Alice is a zany teacher with lots of energy, making her a perfect circus teacher who will always get her classes giggling! A gymnast and dancer in her youth, Rebecca has spent over two decades learning, teaching and studying capoeira, dance and other movement arts in Australia, Brazil and throughout Africa. Her focus has been on channeling the power of movement arts to encourage positive youth and community development. Rebecca has worked with children and young adults all her life. She loves the energy that is shared when kids feel inspired. Along with Capoeira, Rebecca teaches Gymnastics, African Dance, Acro Yoga and Hip Hop. Rebecca spent six years as a Youth Worker and Team Leader at the Fitzroy Adventure Playground (Cubbies), where she worked directly with children and teens from diverse communities. In 2009, Rebecca facilitated capoeira workshops with young people in Uganda, East Africa. This experience inspired her to develop and coordinate the Cubbies Capoeira Project (CCP). Engaging African and other diverse communities in Melbourne for over four years, CCP provided over 300 hours of free capoeira training, excursions and performances. Rebecca is now completing her PhD researching the subcultures of capoeira and West African dance in Australia. Shane began Breakdancing in late 2005 and quickly went on to win many competitions and perform in venues all over Victoria. He has created a strong impact in the Australian hip-hop and breaking scene and started teaching in 2007. Over his 12 years of dancing and 11 years of teaching, Shane has become a member of several different break crews including his latest FUN crew. With FUN crew Shane has travelled to Japan and Singapore and around Australia competing in (and winning!) some of the biggest competitions around. Shane has taught at Melbourne's top dance companies and he has performed at a huge variety of events, from concerts to schools to weddings! In 2010 Shane travelled around Victoria as a performer with Silvers Circus. Shane has also trained in hip-hop, locking and popping, Latin dance, acrobatics and martial arts, but his main love is still breaking. One of Shane’s greatest passions is teaching kids and spreading his own passion to others. His goal as a dancer is to travel the world and help his crew make a name for themselves outside of Australia. A graduate of the Academy of Performing Arts in WA (WAAPA), Anna is a professional dance artist based in Melbourne. She has just finished dancing with Creative Behaviours Dance Collective, where she had the opportunity to perform in the ‘Wearable Art’ Festival, in Perth. Other recent credits include dancing in the ‘Gangs of Fools’ film clip by The Evening Cast, receiving funding for a project premiered at the ‘CRACK’ festival in Newcastle and touring twice to Perth to perform at the annual Stretch Festival. In 2013 as part of LINK Dance Company, Anna toured to Europe, performing in France and the Netherlands as well as Sydney, Melbourne and Perth back home, in works by Rachel Ogle, Kynan Hughes and Alessio Silvestrin. Anna is currently training with Lion Heart Dance Company as well as pursuing her own interests in dance and dance performance. Anna teaches a range of dance styles for FunFit, particularly hip-hop dance and creative dance. Catalina is from Colombia and she’s been dancing all her life. She has over 10 years training and experience in traditional Colombian dancing and has been teaching Latin dancing for 9 years. This includes salsa, rumba, chacha and samba. She expanded her movement repertoire with the highly energised dance/aerobic activity Zumba and has been a Zumba fitness instructor and entertainer for 9 years. Catalina is very passionate about sharing her Latin culture, music and dancing with people of all ages. 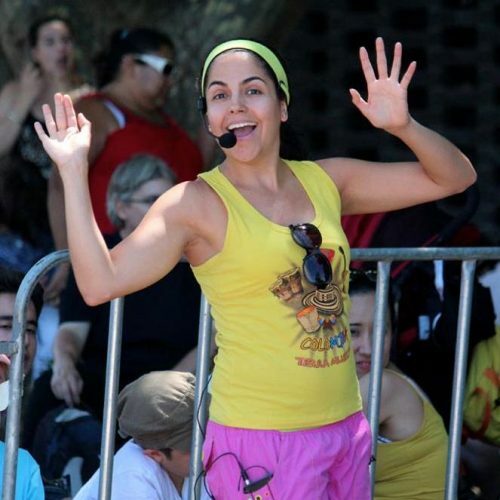 For her, zumba is about having a good time dancing with the best music! Her classes are fun and energetic and most importantly, very inclusive... we are all part of the fun!! !